Rose Marie Doyle, of Doyle's Brook, passed away on Sunday, February 3, 2019, at the Miramichi Regional Hospital, at the age of 64. Born in Quarryville, she was the daughter of the late Leona Stewart. She will be greatly missed by her daughter Priscilla Bell of Quarryville; two sisters Carol Amyotte (Bob) of Oakville, ON, and Barbara Doyle (the late James) of Doyle's Brook; two grandsons Jayden and Jacob Bell; two nieces Felicia Amyotte and Tara Amyotte; four nephews Todd McCormack, Michael McCormack, Darrin Burke, and Matthew Doyle; a special niece-in-law Angie Burke; and several great nieces and nephews. Besides her mother, she was predeceased by her husband William Doyle and infant daughter Amanda. At her request, there will be no visitation or funeral service. A private graveside burial will be held at a later date in St Mark's United Church Cemetery, Quarryville. As expressions of sympathy, donations may be made to a memorial of one's choice would be appreciated by the family. 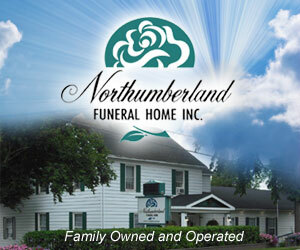 The funeral arrangements are in the care of Northumberland Funeral Home, 102 Pleasant St, Miramichi, telephone (506) 622-7741 and online at www.northumberlandfh.com. Donations / WishesAs expressions of sympathy, donations may be made to a memorial of one's choice would be appreciated by the family.